PTSD: it’s an acronym that hardly needs explaining these days. It seems that every week another horrific event occurs for which post-traumatic stress disorder may be either a cause or a probable effect. The condition has existed since time immemorial. Earlier terms, including “soldier’s heart,” “shell shock” and “battle fatigue,” became “PTSD” after the Vietnam War, as the nation struggled to deal with so many lives ruined by drug and alcohol abuse, troubled relationships, and social alienation. In the wake of 9/11 and many homegrown tragedies, and as waves of modern warriors return home to the stresses and strangeness of ‘normal’ life, awareness of the aftereffects of trauma and intense stress has seeped into our daily lives and our cultural consciousness. That’s not entirely a bad thing. After all, traumatic stress has been with us for as long as violence, war, and catastrophe have intruded on the illusory safety of human existence. But for society to learn to recognize the downstream consequences of trauma on mind, spirit and body, and to begin to identify paths to recovery and wholeness—to discover that there are paths to recovery, and to explore, illuminate and broaden access to them—is what may set apart our time, with its particular mix of seemingly senseless tragedy and psychic pain, from times that have gone before. The formal psychiatric definition of post-traumatic stress disorder is evolving, and in the recently released, revised diagnostic manual for psychiatry (the DSM-5), PTSD was moved from the category of anxiety disorders to a new category of trauma- and stressor-related conditions, a change which implicitly acknowledges its complexity. This new grouping of stress-induced psychological issues includes Acute Stress Disorder (ASD), which shares some characteristics of PTSD but which resolves after a relatively short period of time. Intrusive, recurring and distressing memories, thoughts, images, dreams, or flashbacks of the traumatic event. Emotional numbness or deadness, feelings of detachment from others, and possibly difficulty experiencing loving feelings. Feelings of guilt or blame (of self or others) are common. Avoidance of thoughts, conversations, places, people, activities—of anything that might trigger memories of the trauma and cause distress or anxiety. Common tools for avoidance include numbing behaviors such as alcohol and other substance abuse. Apathy toward formerly pleasurable activities. In general, a pessimistic view of the future; it may be difficult to make future plans. There may be an attraction to reckless or destructive behaviors. Symptoms related to hyper-arousal and hyper-alertness: problems in getting to sleep or staying asleep; irritability, possibly accompanied by anger and volatility; difficulty concentrating; increased vigilance; an increased startle reaction. Chronic hyper-arousal may manifest as depression. When a person has experienced these symptoms and behaviors for one month, he or she is considered to have a post-traumatic stress disorder; when these issues persist beyond three months, PTSD is considered chronic. 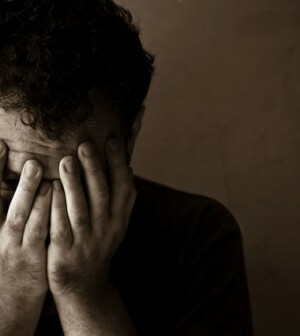 The reality, though, is that many more people experience post-traumatic stress effects than meet the DSM criteria—their lives may be limited by anxiety or panic attacks, depression, insomnia, emotional reactivity, fatigue, and bodily pain, but they don’t associate their emotional or health issues with prior trauma, they just think that this is how life is and always will be for them. Childhood abuse, domestic violence, illness, injury, and ongoing financial stress are some of the preconditions for a life marked by post-traumatic wounds to psyche and body, unless these wounds are healed. Stop Saying Post-traumatic Stress is Incurable! Until recently, well-intentioned attempts to treat PTSD often have done at least as much harm as good. Traditional talk therapies can re-traumatize the sufferer and have poor rates of success for PTSD. Traditional pharmaceuticals may manage, with varying degrees of effectiveness, the depression, anxiety, insomnia, anger, and substance abuse which often accompany post-traumatic stress. But neither approach effectively engages with the deep and interconnected wounds to mind, body and spirit that make up PTSD. In recent years, a constellation of therapeutic alternatives to traditional treatment has emerged which demonstrate significant success for recovery from PTSD. These therapies, a sampling of which is listed below, access the places in mind and body where trauma is embedded, creating safe detours around fear-damaged brain circuitry to allow the traumatized to gradually integrate their memories and find a way back to a present they can live in. In trauma-centered Cognitive Behavioral Therapy the therapist and client work together to revise or correct inaccurate or distorted thoughts about the traumatic memory. It generally includes aspects of exposure therapy, in which tolerance to the trauma is developed by means of gradual exposure to a memory or other trigger. The drop-out rate for CBT is about 50%, presumably because even gradual re-exposure to the traumatic memory can be overwhelming for many clients. MBSR is a widely available eight-week program (with meetings once weekly) in which participants learn techniques promoting self-awareness, the integration of body and mind, and non-judgmental acceptance of their experience in the present. MBSR, based on Buddhist and other ancient meditative practices, was introduced as a program in 1979 by Jon Kabat-Zinn, Ph.D., at the University of Massachusetts. It has been found to be effective for a broad range of issues, including chronic pain, anxiety, depression, high blood pressure, substance abuse, and adjustment to life stress, such as serious illness. It is emerging as one of the most effective approaches for both treatment and prevention of post-traumatic stress. A recent study from the University of Michigan, in association with the Veteran’s Administration Ann Arbor, looked at the effects of Mindfulness Based Cognitive Therapy, which combines mindfulness training with cognitive therapy (as mentioned above). After the eight-week program, 73% of patients/clients in the MBCT group experienced significant improvement, while only 33% of the traditional treatment group noted improvement. Other studies of mindfulness training for PTSD show on average about an 80% reduction in symptoms, and a drop-out rate which is virtually zero. Guided Imagery is a variation on meditation in which dialogues tailored to address the anxiety, depression, grief, insomnia, lowered self-esteem, and traumatic wounds of PTSD are listened to several times weekly on an MP3 or CD player. I think of guided imagery as the scenic route of meditation, because the dialogues often involve imagining oneself in a natural environment. Because they can be used at home, they can be an excellent adjunct to EMDR, CBT, or other supervised treatments. A recent study of guided imagery combined with healing touch in returning veterans showed a significant reduction in PTSD and related symptoms after six twice-weekly sessions, compared to usual treatment. Trauma-sensitive yoga promotes integration of mind and body, ability to achieve inner quiet, calm and relaxation, and greater comfort with the present moment. Body-Centered Psychotherapies, such as Somatic Experiencing, recognize that trauma causes memory to be somaticized, or stored in the body. They may be blended with other treatment approaches, and encourage body awareness as a way to regulate the overwhelmed nervous system of the traumatized and open the door to healing. Neurofeedback techniques use low-frequency electrical signals to help the brain shift into a state in which it is easier to process emotions, moving it out of stuck patterns induced by trauma. Improvement may be felt in one to three sessions. A holistic approach to physical health issues acknowledges the participation of the mind and spirit in the healing process. Conversely, truly holistic care for PTSD combines treatment of the mind and emotions with support of physical health, including the hormonal and biochemical interconnections between mind and body. A synergistic approach offers the greatest potential for authentic and lasting recovery from post-traumatic stress disorder. In my practice I rely on functional medicine testing of stress hormones, neurotransmitters, blood sugar, thyroid function, and a range of stress-modulating nutrients to identify the unique patterns of imbalance in an individual with stress disorder. With this information, natural approaches such as nutrient replenishment, herbal support, and lifestyle modification can be used to promote health and balance of body, mind, and emotions. The adrenal glands secrete hormones that generate the stress response. The “fight or flight” stress hormones epinephrine and norepinephrine (also known as adrenaline and noradrenaline) and cortisol, the hormone secreted by the adrenals in response to longer-term stress, are a big part of our emergency response mechanism, and they are central to much of the mental and physical experience of post-traumatic stress. The adrenal stress response might be thought of as the interface between the brain and the body: have a stressful thought or memory, and the adrenals respond by putting out stress hormones; on the other hand, over stimulate the adrenals (by a near-miss of a car accident, for instance) and brain function is affected. A damaging effect of intense or chronic stress is disruption of the lines of communication between the brain and the adrenals, resulting in loss of the normal regulation by the brain of stress hormone output. Problems with sleep (both getting to sleep and staying asleep) and difficulty getting going in the morning are symptomatic of this communication breakdown. Phosphatidyl serine is a natural supplement which, in doses of 200-300 mg. at bedtime, can help repair the stress-induced damage to brain cells and over time (it may take two to three months, depending on the level of repair necessary) can restore healthier stress-hormone balance and better quality sleep. The herb rhodiola rosea has been used for centuries as a tool for rebalancing stressed adrenal glands. As there are a number of species of rhodiola; it is important to obtain a supplement that has been assayed for the level of rosavins, which are the compounds thought to be necessary for therapeutic effect. While in my practice I work with formulations standardized to contain 16% rosavins, those available to the public usually contain between two and five percent of these compounds, and about 250 mg. per capsule of the herb itself. Taken in the morning (a conservative dose is two to three capsules), it can support stable energy; paradoxically, three or four capsules taken an hour or so before bedtime can promote more restful sleep (please note: it may have a stimulating effect and interfere with sleep if taken too close to bedtime). Neurotransmitters, the biochemical messengers of the brain that affect mood, sleep, energy, motivation, concentration and more, can be severely thrown out of balance by intense or prolonged states of stress. Once a pattern of neurotransmitter imbalance has been identified through testing, natural supplements can help restore balance. For purposes of promoting greater calm, better sleep, and increased well-being, I think of GABA (I work with a GABA metabolite that crosses the blood-brain barrier more easily than standard preparations); the amino acids Taurine, Theanine, Glycine, Glutamine, and 5-hydroxy Tryptophan; and vitamin B6 (pyridoxine), which is essential for neurotransmitter metabolism. In addition, the Omega-3 fatty acids, most readily obtained from a high-quality marine oil supplement, nourish brain cells and reduce inflammation that amplifies stress hormone levels, and are fundamental to any nutritional support program for PTSD. Poor habits of self-care often go along with PTSD, such as a tendency to skip meals, to eat and drink too many nutrient-depleted and nutrient-depleting items like coffee, alcohol, sweets and refined flours, and to let go of regular exercise and time spent outdoors. Unhealthy patterns of eating and drinking ramp up the stress response, in part because they cause unstable blood sugar, which triggers stress hormone secretion. They also literally starve the brain of the even supply of glucose (which it gets from whole foods eaten regularly throughout the day) it needs to function well. So be sure to eat three meals a day, and be sure one of them breakfast; also eat two or three snacks between those meals, even if that means the regular meals are a bit smaller than you’re used to. Eat more nutrient dense, whole foods, like fish, fowl, starchy beans and starchy vegetables, whole grains, nuts and seeds, crunchy veggies, and fruit. Eat fewer processed and ‘white foods’ made with refined flours and sugars; limit or eliminate caffeine and alcohol—plenty of water and herbal teas are better choices. Exercise increases oxygen supply to the brain, has been shown to increase serotonin and endorphin production (feel-good brain bio-chemicals), and helps balance blood sugar. Benefits of exercising outdoors include stimulation of the pineal gland by natural light (which promotes melatonin production, which improves sleep, mood, and immune function), increased production of the anti-depressant vitamin D, and a chance to take in the nourishing beauty and healing ‘green’ energy of Mother Nature. It is a truism that if we want change to happen, we need to take action. One of the greatest impediments to healing of people suffering from PTSD is their reluctance to seek treatment, and then to stay in treatment long enough to feel results. This is tragic, given the often life-or-death stakes of PTSD. Although no single approach can create immediate resolution of the complex pain of post-traumatic stress, those outlined here are some of the most effective, least stressful, and direct routes to relief and authentic healing for the disorder currently available. Working with multiple modalities (for instance, EMDR with MBSR, trauma-centered yoga and guided imagery) can enhance their positive effects and create a safety net for the healing process. Combining such inner work with healing and care for the body as a whole and the body systems involved with the stress response eases the way for healing on every level. But for recovery to begin, it is necessary to take the first step on one path toward wholeness. Take that step. www.traumacenter.org : a go-to site for definitive information on trauma and its treatment. Invisible Heroes: Survivors of Trauma and How they Heal, by Belleruth Naparstek, Ph.D, is an excellent book describing the continuum of stress and post-traumatic stress, the neurobiology of trauma, and how the brain heals. Traumatic Stress: The Effects of Overwhelming Experience on Mind, Body, and Society, by Bessel van der Kolk. Full Catastrophe Living: Using the Wisdom of Your Body and Mind to Face Stress, Pain, and Illness, by Jon Kabat-Zinn. Getting Past Your Past: Take Control of Your Life with Self-Help Techniques from EMDR Therapy, by Francine Shapiro, Ph.D.
Overcoming Trauma Through Yoga: Reclaiming Your Body, by David Emerson and Elizabeth Hopper. Debra Gibson N.D. practices naturopathic family medicine in her Ridgefield, CT office. She can be reached at 203-431-4443 or at drgibsonsoffice@sbcglobal.net; her blog may be found at www.debragibsonnd.com. Can you share what Gaba supplement, referenced in this article, you use? The GABA formulation I use in my practice is proprietary, and manufactured by a healthcare provider supplement line. The primary active ingredient is “Phenibut” (4-amino-3 phenyl butyric acid HCl), which is readily available, however. can you help me find a doctor who specializes in PTSD. How do i get a referal? A brief online search turned up David Lingley (www.davidlingley.com) who has experience with post-traumatic stress and practices in Maple Ridge; and Oakhill Counseling, also in Maple Ridge, whose website, oak hill.ca, notes that they have practitioners experienced in EMDR. http://www.emdrca.org can provide other referrals, but either of these could be a good place to start. Hi, I am looking for a doctor that specializes in panic and anxiety disorder in CT. I am currently on Prozac and I really don’t like the way it makes me feel, but I also am totally against medication and believe I am destroying my body while taking it. I am very into natural healing, but my anxiety and panic got so bad that I had to result in taking medication. I would much rather even out my chemical imbalance with natural supplements. My uncle is a veteran and he suffers from PTSD. I want to help him overcome it without medications and a therapist. What is the best ways to help on my part? what do you recommend? Hi! I think I am suffering from mild PTSD. My daughter cut her hand pretty bad and ended up in the ER, where I proceeded to pass out from the stress. The next week while at the doctor to get her stitches out I almost passed out again. Since that day I have had ongoing anxiety, something I have never had before. For about the first 2 weeks I didn’t want to get out of bed because I felt so bad. I couldn’t eat because my stomach was so upset, I continue to wake up early and can’t get back to sleep and it takes a while in the morning to get through the anxiety just to function. Your article talks about the different herbs you use to help heal naturally. Would I be able to get those from you? I really want to get over these feelings so I can get on with my life normally. If your symptoms are improving, you may be experiencing Acute Stress, which resolves after about a month. In the meantime, to ease the anxiousness you would probably be able to find some of the supplements I mention in the article through a health food store local to you. If the symptoms are persisting or worsening, however, you may wish to contact a trauma-focused therapist who uses EMDR and/or sensorimotor therapy in her or his treatment approach. An integrative or naturopathic practitioner can assist in stabilizing the physical aspects of post-traumatic stress, and the other techniques and tools (such as guided imagery, mindfulness, and yoga) can really help to calm the mind and body. I’m hoping you might be able to give some assistance or point me in the correct direction. We have a young person dealing with PTSD and Severe Depression from a childhood trauma that lasted 4+ years. It wasn’t until about 4 or 5 years ago that the trauma he had blocked out, returned in the form of flashbacks (at one point blackouts), this then brought on the depression and the feeling of hopelessness for a cure (he just wants to be normal- his words). His biggest problem seems to be the nightmares at night which lead to only a few hours of sleep each night and I’ve read that lack of sleep can make PTSD worse the next day, is that true? Can you suggest anything that might help him sleep? He’s been on many different anti-depressants and prefers not to go that route. Talk therapy hasn’t really helped. Marijuana (THC) has helped him sleep in the past along with CBD usage to reduce the flashbacks during the day. Currently, he can’t use either of those. Any suggestions? It sounds from your comment as though you are working in a professional capacity with the young person you mention. I think I could be of greater assistance if you contact me through my office email address (below). Just reference this exchange.